Our President, Luis Stauffer, is known for having an incredible wine collection, excellent taste, and a curious palate. Of late, he’s been expanding his tastes and delving into the world of bourbon and whiskey. 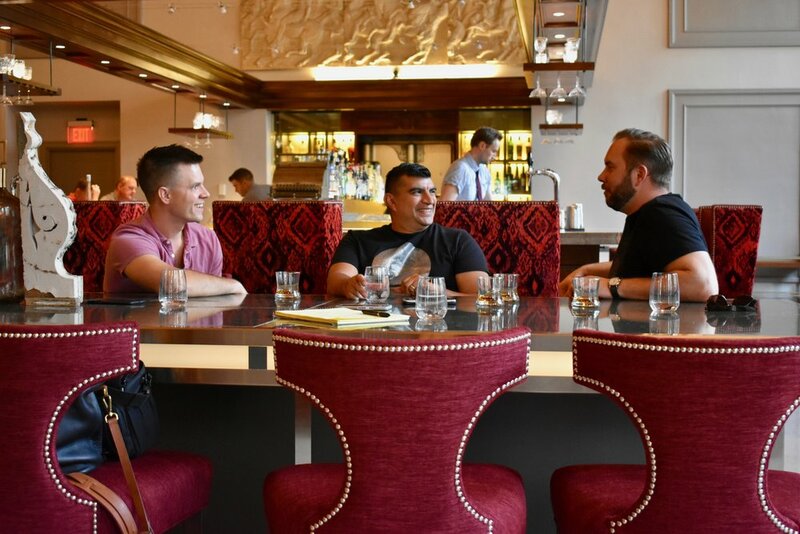 In this edition of The Luxe Life with Louie, we’re joining Louie on a bourbon tasting with his bourbon connoisseur friends, Nick and Adam. Plus, Louie shares his tips for developing a taste for bourbon and his favorite “starter bourbons”! I always heard my friends Nick and Adam talk about bourbon but I was never interested in trying it. To be honest, I felt like wine was enough for me. But, after reluctantly trying my first bourbon, I was hooked. It turns out, tasting bourbon is a lot like tasting wine. There are complex flavors to consider, captivating smells, and a variety of finishes that make every bourbon unique. Now and then Nick, Adam, and I meet up to try new bourbons, either at the distillery itself or at a favorite bar. Last week we visited The Citizens Trust, a bar housed within a former bank, and its sister restaurant, Veritas, a long time favorite. At Citizens Trust we tried four different bourbons and gave them our reviews. Adam: I’m getting a lot of alcohol… which isn’t necessarily a good thing. At first blush I get some nuts, some apricots… the finish is nice but the alcohol taste is so strong. You have to sort of muscle through that to get to the good stuff. It isn’t bad for the price. Nick: I honestly wasn’t a big fan, considering how much hype there was around this bottle. There’s a little orange here for me. There’s not a lot of florals, not a lot of earthiness… a little bit of apricot but honestly, I’m not blown away. Louie: Aesthetically the bottle’s really nice. But that’s the best thing here for me… which is bad news. I’m picking up on some butterscotch but it’s just a little harsh. Adam: This tasted far more friendly to me. It’s sweet and spicy on the nose, nutty on the pallet and kind of buttery. It tastes thinner to me than other Elijah Craigs. 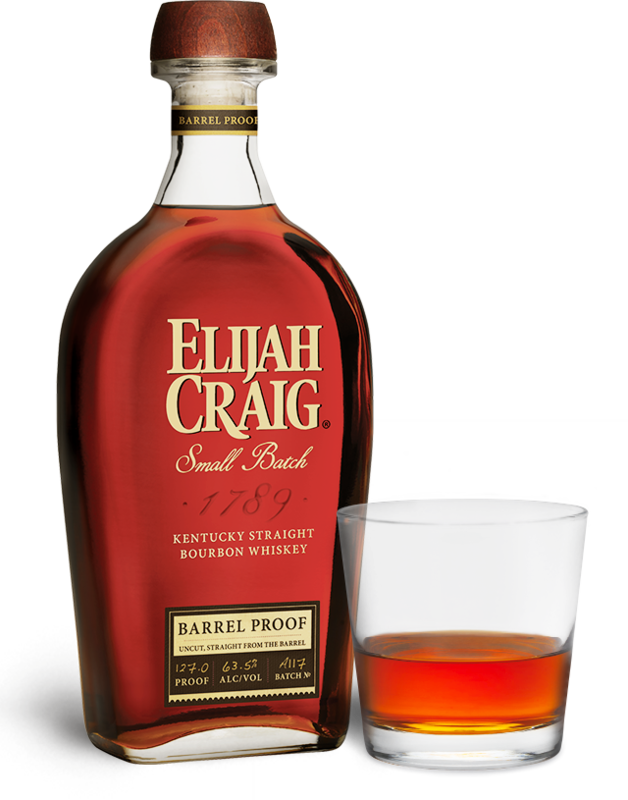 Elijah Craig is one of my favorite easy bourbons so I’m a little disappointed by this. Nick: For me it’s kind of medicinal on the nose. It reminds me of band aids. Don’t judge all Elijah Craigs by this one. Louie: Liquid first aid kit… honestly. It smells better than it tastes, which is a bit of a let down. Adam: This smelled amazing. I absolutely love a rye whiskey. It’s like a full meal. 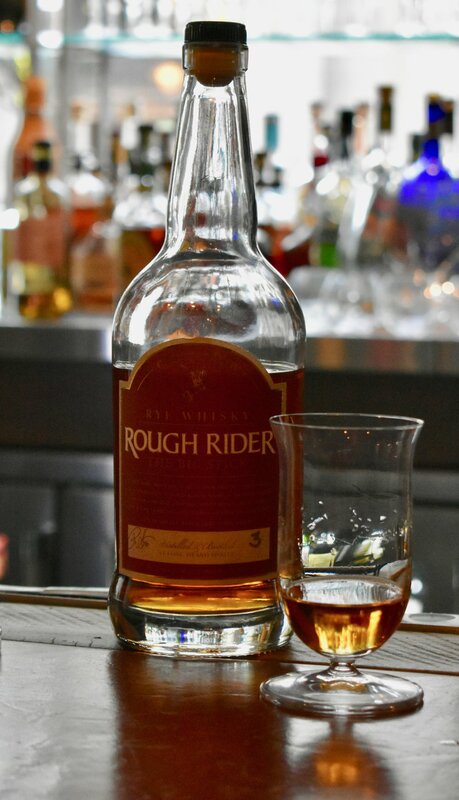 This particular whiskey is well rounded, tastes like caramel and a little bit like citrus too. Honestly, this almost tasted like scotch. It’s not peaty, it’s almost tannic. I really like this one. Nick: It’s not smooth but that’s not a bad thing. It’s fruity and has the flavorful elements of scotch that I like without the peat. Louie: I’m not usually a fan of rye but in this one, it isn’t really overpowering which works well for me. It isn’t smooth for me so I might not reach for this one on my own but I’m glad I tried it. It isn’t sweet enough, I guess. After we tried these three, we decided to head downstairs to Veritas and try a few more, this time with the guidance of the stellar bartender. Adam: You know this one really reminded me of Bit o’ Honey. It smells great. I feel like if you turned a caramel cheesecake into a bourbon, it would be this. It’s unreal. Nick: This was my favorite of the night. Hands down. It’s complex, it’s sweet and smooth, has some baking spices on the nose... I would definitely drink this again. Louie: What’s not to like? It tastes like how you dream a bourbon should taste. Adam: The initial taste is delicious. The nose is incredible. But oh my gosh the finish just kind of ruins it for me. Nick: That first taste was really misleading. I’ll just leave it at that. Louie: The smell of this is unbelievable. It tasted like pancakes and maple syrup. Unfortunately the finish was rough. It was like jet fuel to me. Adam: This is just a little rough for me. It’s huge in the mouth. Nick: Rough is right. There’s a long lasting kick on this. I literally took a shot of rum to cleanse my pallet after this. Louie: My mouth is still burning after this. Not a fan. Adam: Wow this one really blew me away. It wasn’t my favorite of the night but it was a very close second. It smells like how you want a bourbon to smell: hints of tobacco, maple, oak, caramel. The finish is incredibly smooth and the taste is great. Nick: This one was a very close second for me too. I loved its smell and the finish was perfectly smooth. But for me the Old Forester was just a bit better because it has just a little more spice to it. Louie: For me, this was a clear winner. I honestly can’t stop thinking about it and I’ve made plans to find it and buy it. Bourbon can feel intimidating, especially if you’ve never had good bourbon. The key, I think, to expanding your palate is curiosity. Be curious and open minded, and you’ll find something you’ll like. Every bourbon tastes a little different. The way the bourbon is made, aged, stored… it all matters. So even if your first bourbon fails to impress, keeping trying. There’s something out there for everyone. I’m a huge sweets lover so I tend to gravitate towards bourbons that are smooth, mapley, and sweet. I’ve learned I don’t really love rye… there’s just too much heat. But I research, I read a lot of publications (eg The Robb Report), and I explore and taste a lot. That’s really the best advice I can give: explore! At the end of the day, buy and drink what you like. A $200+ bottle of bourbon may not be much better tasting to you than a $40 bottle. Though more expensive bourbons frequently taste better due to the time and craftsmanship put into making them, sometimes price is dictated by demand and not quality. You just have to try a variety and then decide what works for you!